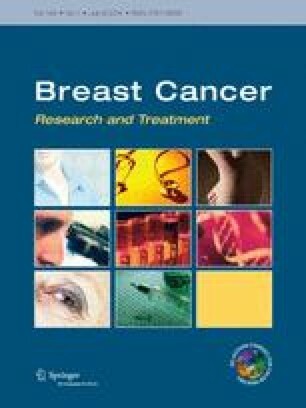 Caloric restriction (CR) has been shown to cause tumor regression in models of triple-negative breast cancer (TNBC), and the regression is augmented when coupled with ionizing radiation (IR). In this study, we sought to determine if the molecular interaction between CR and IR could be mediated by microRNA (miR). miR arrays revealed 3 miRs in the miR-17~92 cluster as most significantly down regulated when CR is combined with IR. In vivo, CR and IR down regulated miR-17/20 in 2 TNBC models. To elucidate the mechanism by which this cluster regulates the response to CR, cDNA arrays were performed and the top 5 statistically significant gene ontology terms with high fold changes were all associated with extracellular matrix (ECM) and metastases. In silico analysis revealed 4 potential targets of the miR-17~92 cluster related to ECM: collagen 4 alpha 3, laminin alpha 3, and metallopeptidase inhibitors 2 and 3, which were confirmed by luciferase assays. The overexpression or silencing of miR-17/20a demonstrated that those miRs directly affected the ECM proteins. Furthermore, we found that CR-mediated inhibition of miR-17/20a can regulate the expression of ECM proteins. Functionally, we demonstrate that CR decreases the metastatic potential of cells which further demonstrates the importance of the ECM. In conclusion, CR can be used as a potential treatment for cancer because it may alter many molecular targets concurrently and decrease metastatic potential for TNBC.